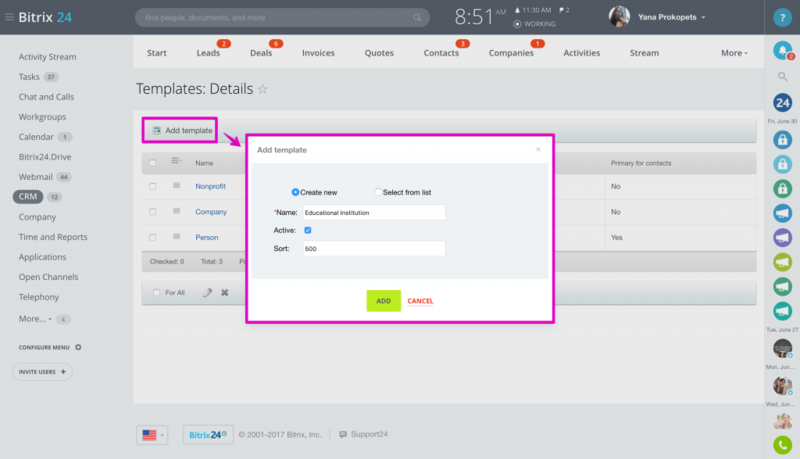 New contact or company details templates are configured from CRM Settings & are stored there as well, so that you can edit them at any time. 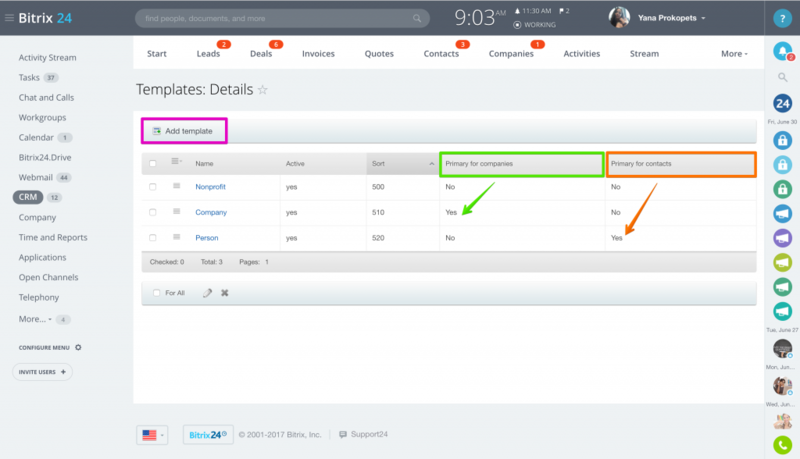 Go to CRM > More > Settings > Start Point > Contact or Company Details Templates. The page will show all available templates. Use Add Template option to add a new one. 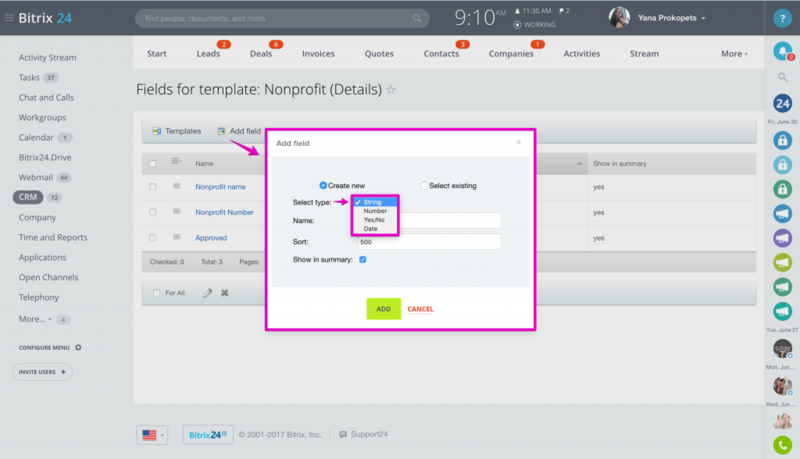 The Add Template form allows to add template name, activate\deactivate & set sorting. 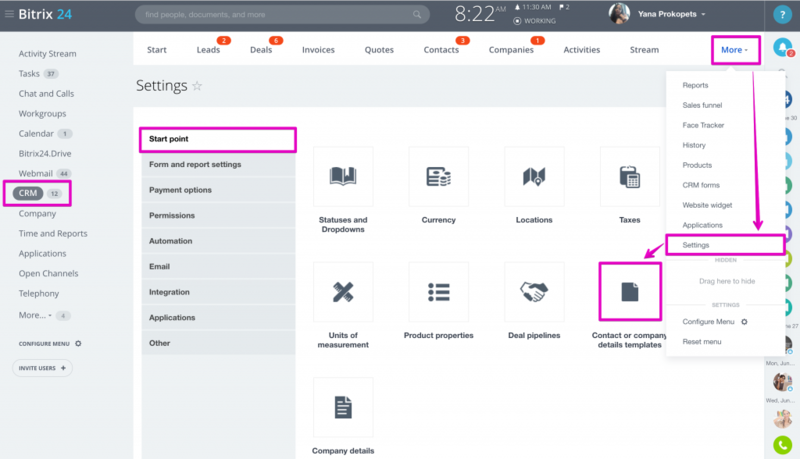 Please note that the template with lowest sorting will be shown in the contact\company details section as default one (very first in list). 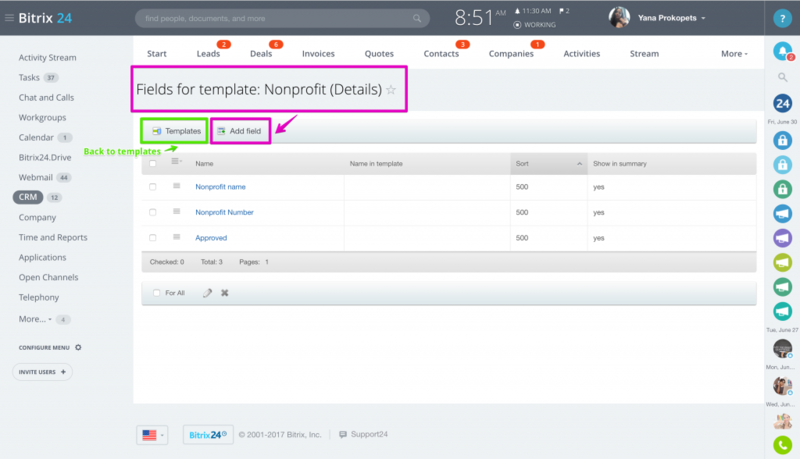 For example, if you have Nonprofit template sorting = 550, and Company template sorting = 510, then the Company template will be shown first in list. 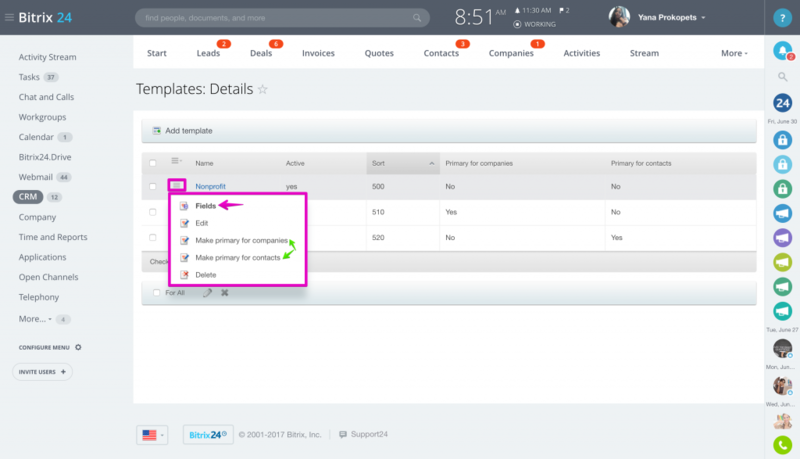 On the Fields for Template page you will find all fields that you've added to the template. 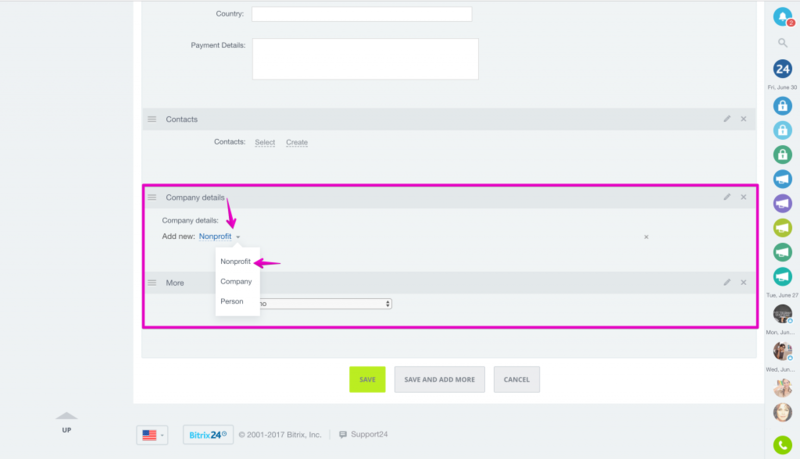 Click Add field to add new one. 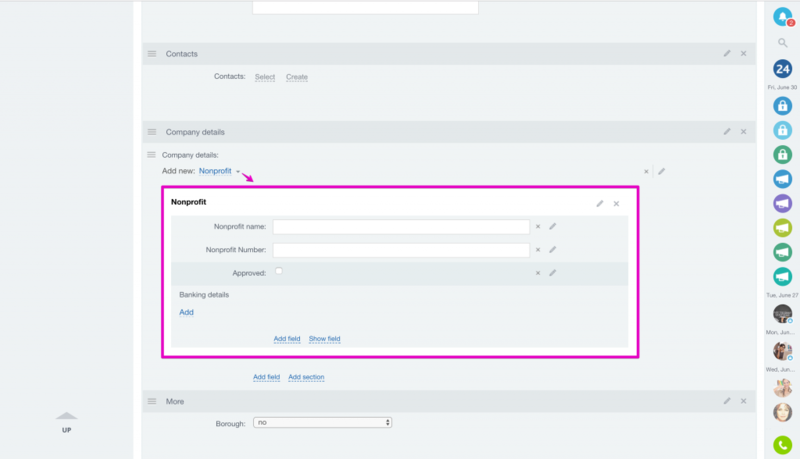 The Add field form allows to add field name, sorting and select type. Supported field types include: string (text), number, yes\no or date.